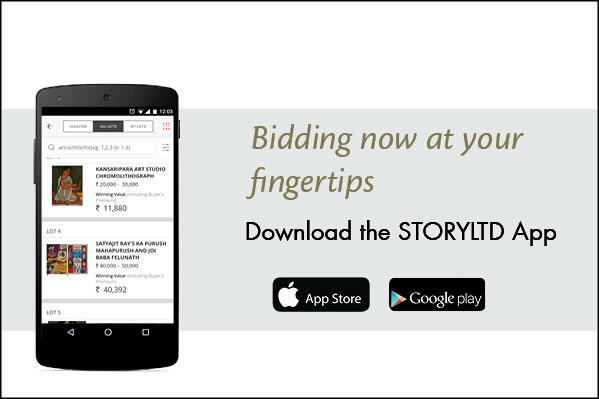 If you have bid in previous auctions, you can use your pre-existing Saffronart or StoryLTD login ID. If you are new to StoryLTD/Saffronart, register for a new StoryLTD Login ID. When the auction catalogue is available online, verify your details and get approved to bid for the auction. This must be done before every auction, even if you already have a Saffronart or StoryLTD Login ID. 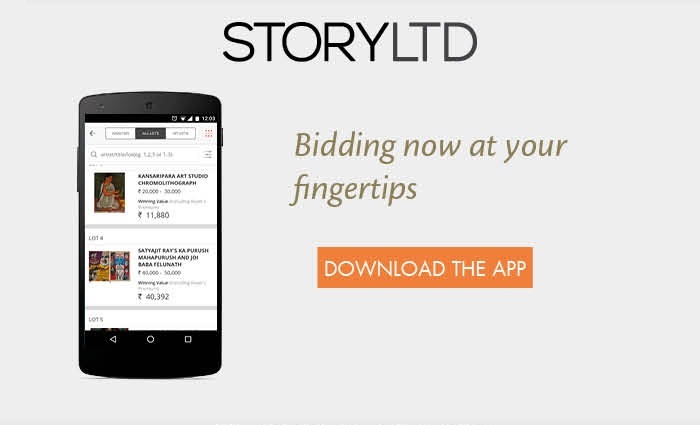 For the StoryLTD Absolute Auction, verify your contact, billing and shipping addresses and accept our Terms & Conditions. Get bidding access by verifying your credit card online. Your credit card will not be charged: it will be authorized through a small deposit which, once authorized, will be immediately invalidated. All charges will happen after the auction. Select a per lot bidding value, based on the lots that you would like to bid on. Should you wish to speak to someone and acquire approval over the phone, please call StoryLTD. Bidding access will be granted at the discretion of StoryLTD. This is done in order to avoid frivolous bidding and maintain the sanctity of the auction. Once bidding access has been granted, you can proceed to bid by clicking on the "Bid Now" button next to each lot in the catalogue. Successful bidders will be emailed invoices against their purchases. Upon receiving the payment in full and on completion of the necessary formalities, the lots will be shipped to the winning bidder at the address mentioned on the invoice. Questions about the auction? Click here to contact us.